Who will be awarded £15,000 of Community Connect funding? The latest round of Scotmid Co-operative’s popular initiative, Community Connect is about to be decided with nine local charities potentially being awarded up to £15,000 generated from the sale of single-use carrier bags through votes cast by members. 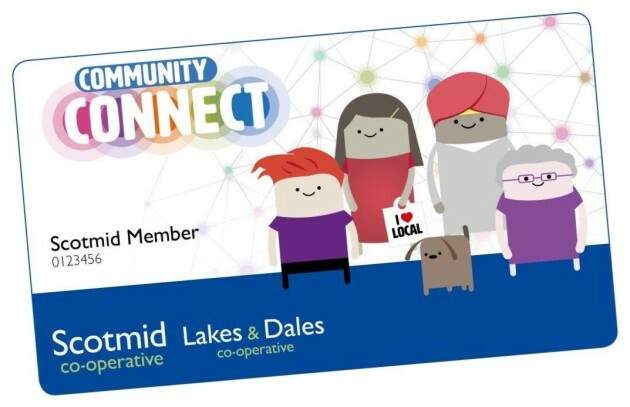 Community Connect was initially trialled in the North of Scotland last year and enables Scotmid members to award good cause groups in their local area with funding of either £15,000, £7,500 or £2,500. The good cause groups are short-listed by a Scotmid member selection panel. The short-listed groups in the West Member Region (OGM is on 1 October), encompassing Glasgow, Paisley, Ayrshire, Dumfries and Galloway, Stirling and Lanarkshire, are Lanarkshire’s Equitots, Esteem Clydesdale and St Andrew’s Hospice in Airdrie. The short-listed groups in the East Member Region (OGM is on 1 October), encompassing Edinburgh, Fife and the Lothians, are South Queensferry’s Blood Bikes Scotland, Broxburn Family Centre and Prestonpans-based Harlawhill Day Care Centre. The short-listed groups in the North Member Region (OGM is on 2 October), encompassing Inverness, Dundee, Aberdeen and Perth, are Inverness Foodstuff, Pillar Kincardine and Laurencekirk Memorial Park. Previous recipients of £15,000 Community Connect funding include Dundee-based charity Eighteen and Under, Highland Cycle Ability Centre and Glasgow’s Street Connect and the funding has gone towards making their projects a reality. In addition to Community Connect, Scotmid Co-operative’s Community Grant programme continues to grow in importance and popularity – last year over 1,000 local community groups applied and were awarded a grant of up to £500 and these projects range from Primary Schools’ breakfast clubs to communal garden renovations.